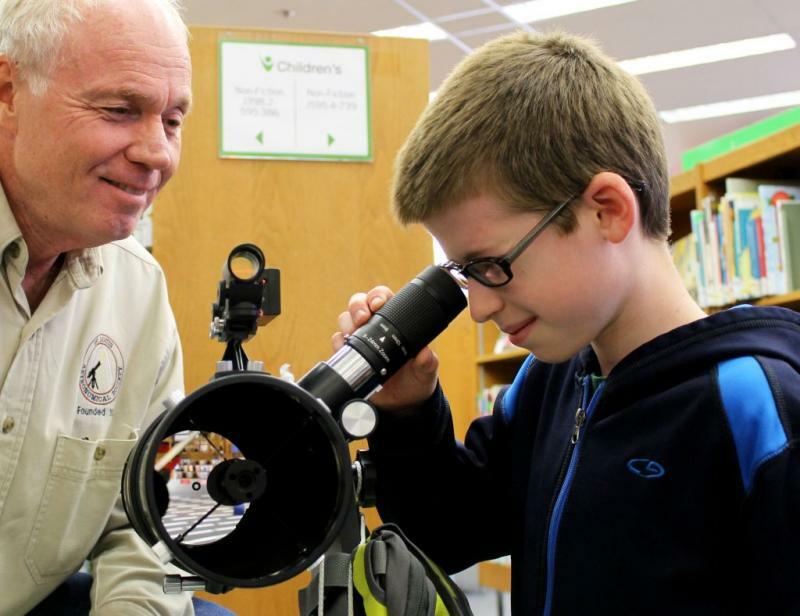 Twelve-year-old Ben Gremaud gets a preview of one of the telescopes at the St. Louis County Library's main branch, with the help of the St. Louis Astronomical Society's Don Ficken. 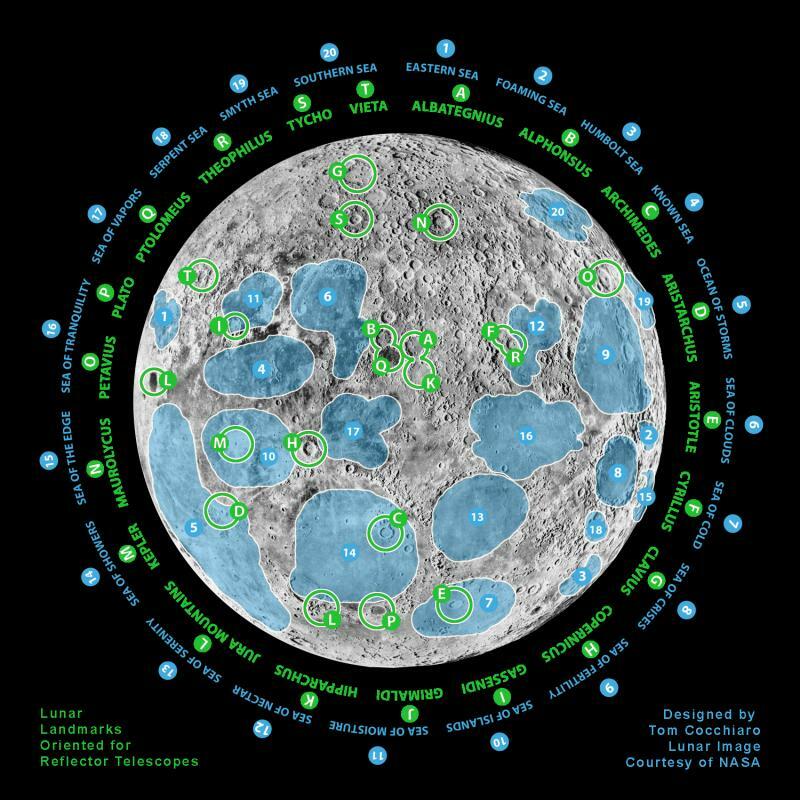 This sticker, showing some of the moon's topographic features, is affixed to the side of each telescope. The map is pre-oriented for a reflector telescope ― meaning it's upside down. 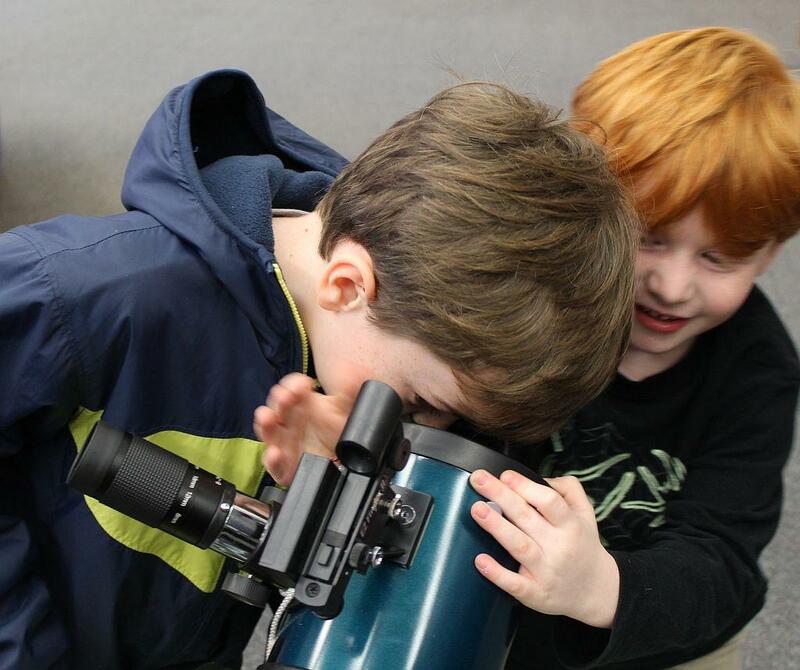 Seven-year-old Phoenix Torno checks out his own reflection in the telescope's internal mirror, while his younger brother Bodhi tries to get in on the action. Starting Nov. 10, you’ll be able to check out something a little unusual from some St. Louis-area public libraries: a telescope. The program is a collaboration between the St. Louis Astronomical Society and public libraries in the city of St. Louis, Kirkwood, University City and St. Louis County. Anyone who is at least 18 years old and has a valid public library card and state I.D. will be able to check out a telescope for free for one week. 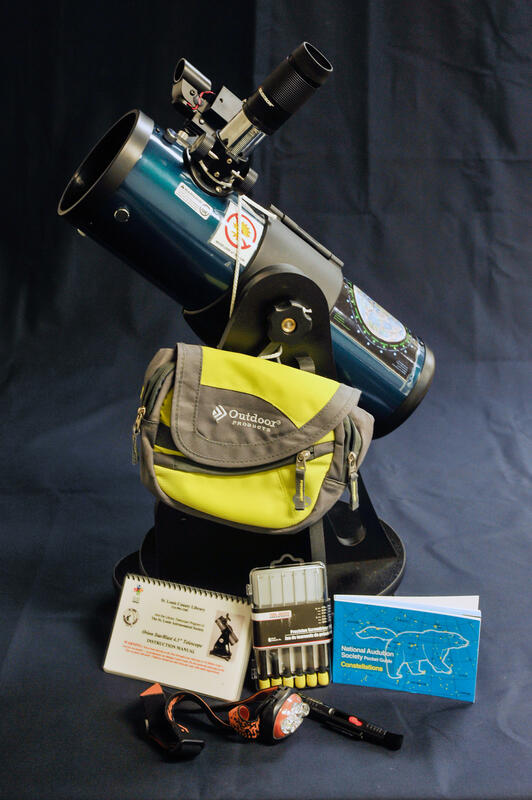 Every Orion StarBlast 4.5” telescope in the library program comes with a quick-start guide, user manual, constellation booklet, moon map, lens cleaner, and headlamp. The idea of going to your local library to borrow a telescope may seem a little strange. But Eric Button, St. Louis County Library's assistant director of branch services, thinks telescopes and libraries are a good fit. The New Hampshire Astronomical Society first came up with the idea for the library telescope lending program in 2008. It’s been extremely popular. They now have more than 100 telescopes spread out among more than 70 public libraries throughout the state, according to the society's website. St. Louis will start out with 17 telescope kits valued at $335 each. Four of the kits were donated to the libraries by the St. Louis Astronomical Society. Members of the group ― all volunteers ― modified the Orion StarBlast 4.5” telescopes to make them more durable and user-friendly. Even so, the relatively large table-top scopes may seem a bit intimidating. But St. Louis Astronomical Society president Jim Small said at 13 pounds, they’re lightweight and easy to use. What if you’ve never operated a telescope before, and aren’t sure what to look at? 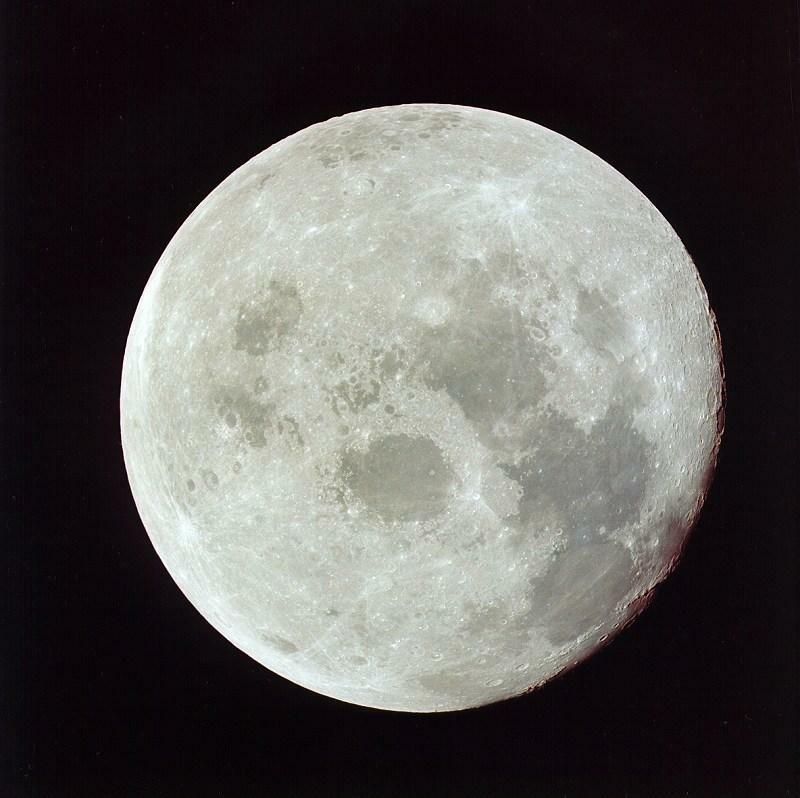 The moon as photographed by Apollo 11 astronauts on their way back to Earth. The telescopes have a viewfinder to help you orient them in the right direction. You look through that first, and line up the little red dot inside with the moon, or whatever you want to look at. Then you can look through the telescope’s eyepiece and adjust its power and focus. Every telescope comes with a quick-start guide, user manual, constellation booklet, moon map, lens cleaner ― and even a headlamp with a red light. You’ll need that to read in the dark. If you use a regular flashlight, it will blow out your night vision, and you won’t be able to see the stars and planets. Don Ficken, who leads the library telescope program for the St. Louis Astronomical Society, said the first time he used a telescope, he was already in his late 50s. Elizabeth Gremaud (in purple) watches with her mom, Julie, and younger sister, Gabrielle, as the St. Louis Astronomical Society's Don Ficken demonstrates how to use a red-light headlamp to read the telescope's instructions in the dark. Ficken said the Orion StarBlast telescopes are powerful enough to allow you to see the moon’s mountains and craters, along with Saturn’s rings and four of Jupiter’s moons. The telescopes are meant to be used at night. And whatever you do, don’t point one at the sun: that will burn your retina and cause permanent damage. 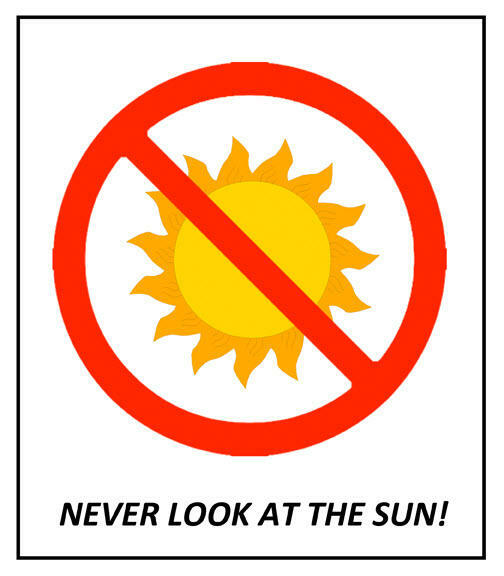 Never look at the sun through binoculars or a telescope. The concentrated heat will burn your retina and can cause blindness. In addition to letting patrons borrow the telescopes to take home, participating libraries will also host star parties. At these free evening events, members of the St. Louis Astronomical Society will help participants of all ages learn more about using the telescopes and what they can expect to see in the night sky. The first star party will be on Nov. 13 from 5:30 to 7:30 p.m. at the St. Louis Public Library’s Machacek branch, at 6424 Scanlan Ave. 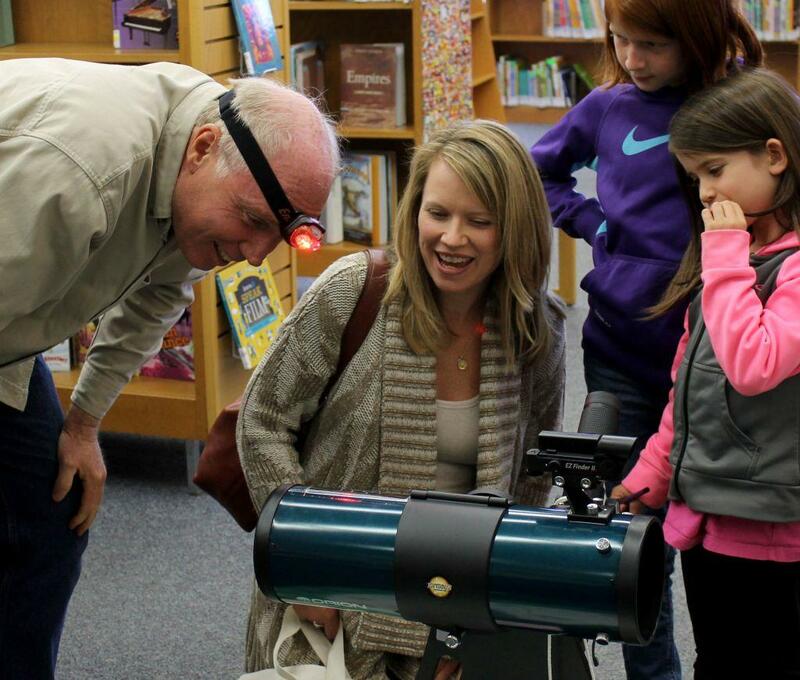 When I went to the main St. Louis County Library to get a sneak peak at one of the telescopes, it drew some attention ― particularly from some of the library’s younger patrons, who were eager to try out the telescope for themselves. One of the interested onlookers was Elizabeth Gremaud, who was visiting the library with her mother and younger sister. What did she think of the Orion StarBlast? “It’s really cool,” Gremaud said. Gremaud had to memorize the names of all of the planets in her 3rd grade class. “I’ve always wanted to see Mars,” she said. And now maybe she will. Her mother Julie is hoping to be first in line for a telescope on Monday morning. “You’re not going to tell many people about this, right?” Gremaud asked. St. Louis County Library: Headquarters, Daniel Boone, Florissant Valley, Tesson Ferry and Lewis & Clark. St. Louis Public Library: Central Library, Barr, Julia Davis, Machacek and Schlafly. They all open at 9 a.m., but you might want to get there early: each location has just one telescope available for lending. A rare astronomical event will take place Tuesday evening: The planet Venus will pass between Earth and the sun, appearing as a small black dot moving across the sun's bright disk. It's known as the transit of Venus, and it won't happen again for more than 100 years. Forty-five years ago this Sunday, Apollo 11 became the first space flight to land men on the moon. 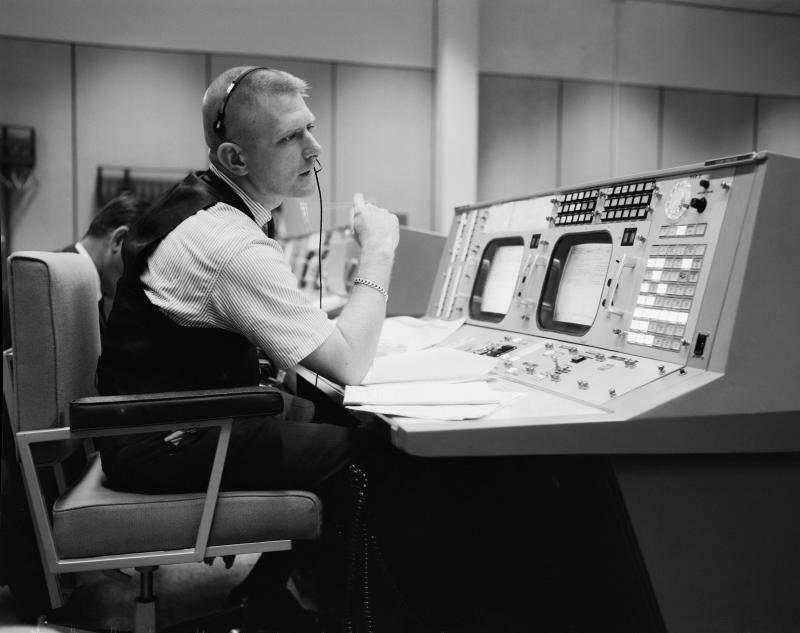 At Mission Control in Houston, Gene Kranz was the man in charge. Kranz spent more than three decades working for the U.S. National Aeronautics and Space Administration, serving as flight director for both the Gemini and Apollo space programs. 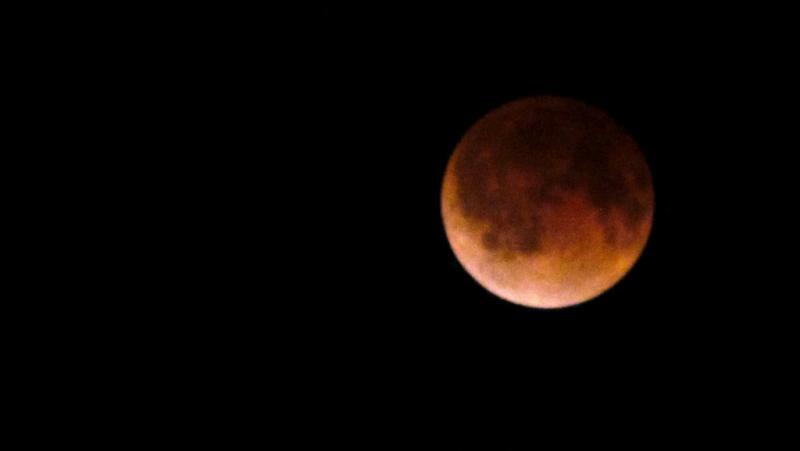 Very early this morning a "Blood Moon" Eclipse was visible in the St. Louis area. Did you stay up (or get up very early) to see it? Our Brent Jones did, and shares some of his photos from the event here with you. 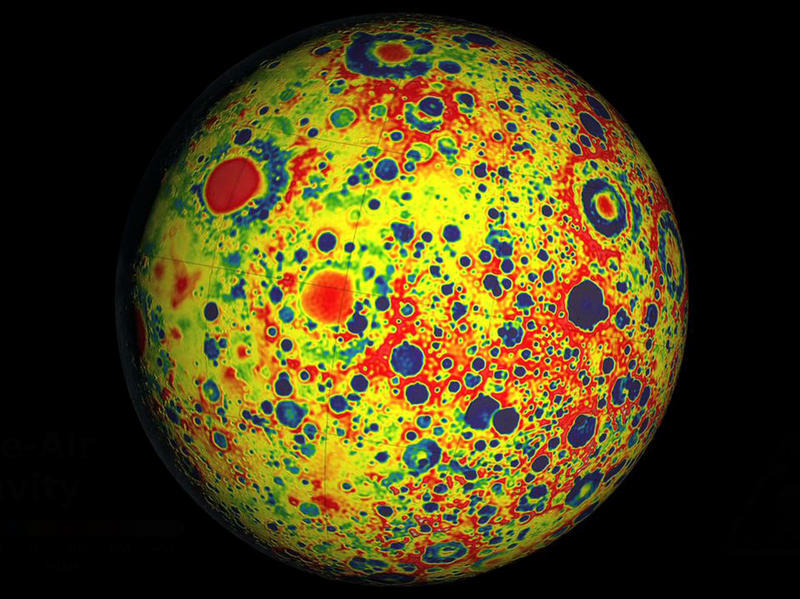 At about 5:30 p.m. on Monday, two washing machine-sized space probes crashed into the surface of the moon. It was all by design and marked the end of NASA's GRAIL mission. The two probes had been orbiting the moon for almost a year, and they've sent back data that have given scientists an unprecedented look inside our nearest solar system neighbor.